Joe Rowlands, Chief Architect at NetSpeed is scheduled to present at Linley Processor Conference, which will be held on July 26 - 27, 2016 at the Hyatt Regency Hotel in Santa Clara, CA. Joe Rowlands, Chief Architect at NetSpeed, will discuss how with heterogeneous system architectures becoming the norm in many mobile and automotive designs, SoC architects must create efficient cache-coherent systems with IP sourced from multiple vendors. 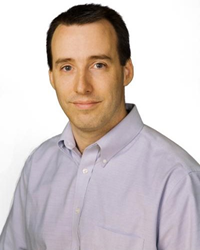 NetSpeed Systems Inc., announced today that Joe Rowlands, Chief Architect at NetSpeed is scheduled to present at Linley Processor Conference, which will be held on July 26 - 27, 2016 at the Hyatt Regency Hotel in Santa Clara, CA. What: Joe Rowlands will present, “An Efficient QoS-Aware Coherent Architecture for Mobile SoCs” during the Mobile SoC Design session. In his presentation, Joe will discuss how with heterogeneous system architectures becoming the norm in many mobile and automotive designs, SoC architects must create efficient cache-coherent systems with IP sourced from multiple vendors. In an effort to improve power, performance, and area, these IP blocks share memory, cache space, and interconnect resources. But if the shared resources are not well managed, severe resource contention can occur, resulting in unpredictable application performance. This presentation examines how architects can effectively address these challenges using NetSpeed's cache coherent NoC IP, Gemini and last level cache IP, Pegasus. NetSpeed Systems provides scalable, coherent on-chip network IPs to SoC designers for a wide range of markets from mobile to high-performance computing and networking. NetSpeed's on-chip network platform delivers significant time-to-market advantages through a system-level approach, a high level of user-driven automation and state-of-the-art algorithms. NetSpeed Systems was founded in 2011 and is led by seasoned executives from the semiconductor and networking industries. The company is funded by top-tier investors from Silicon Valley. It is based in San Jose, California and has additional research and development facilities in Asia. For more information, visit http://www.netspeedsystems.com.